In today’s post, Brian Lane Herder, author of new campaign title The Aleutians 1942–43, reveals the story of the incredible and incorrigible USAAF Colonel William O.“Eric” Eareckson, the highly decorated and larger-than-life bomber commander of the Eleventh Air Force during their World War II posting in the Aleutian Islands. 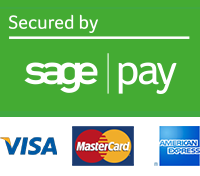 There’s a great scene at the beginning of the 1962 movie Lawrence of Arabia (well, they’re all great scenes) where the geeky Lawrence, a total misfit at headquarters, is excited to get out into the field – the brutally hostile Arabian desert. “It’s going to be fun,” he says. The cunning politician, Dryden, politely admonishes Lawrence: “Lawrence, there’s only two kinds of creature who get fun in the desert: Bedouins and gods, and you’re neither. Take it from me, for ordinary men, it’s a burning, fiery furnace.” Lawrence replies, “No, Dryden .... it’s going to be fun.” For Western officers, the brutal and alien Arabian desert provided an extraordinary sort of psychological litmus test, where the occasional weird character like Lawrence suddenly excelled, and the parade ground martinet often went to watch his career die – if not also himself and the men under his command. This was also Alaska. "The Last Frontier” is almost entirely wilderness and the land still beggars one’s supply of superlatives. In terms of sheer physical size Alaska equals Western Europe. Its terrain consists of steep fjords, active volcanoes, glaciers, tundra, taiga, icefields, and North America’s highest mountain ranges. Alaska’s highest mountain, Denali, is the tallest mountain in the world from base to summit (a vertical rise of over 18,000ft, half again that of Everest). Denali is also the world’s largest mountain in terms of sheer mass. Alaska’s far northerly setting provides months of either darkness or light (the “midnight sun”) depending on season and one’s location. Additionally, the coastal Alaskan climate is overwhelmingly overcast. In the Aleutian Islands, the climate is even worse – typically foggy, misty, and snowy. Additionally, the islands are endowed with williwaws, a unique winter storm that can reach wind speeds of 130mph. In the Aleutians the weather is rarely warm, yet rarely is it ever cold enough to truly freeze the heat-sapping humidity out of the air. The high winds prevent the growth of trees or brush. When combined with several feet of sodden volcanic muck, the end result is a cold, wet slime that covers everything – all beneath a chilly, relentlessly gray sky. 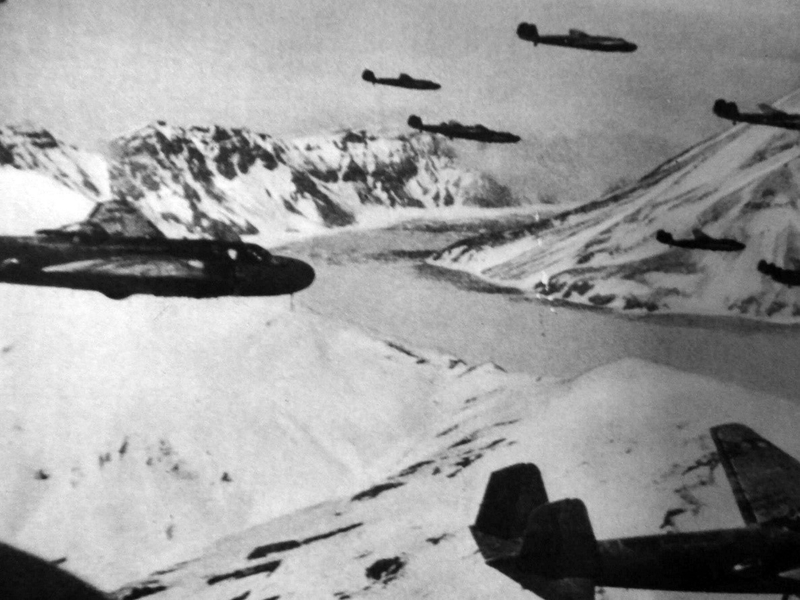 For Americans transferred to the Aleutians, the depressing climate sometimes caused severe psychological issues – suicide rates among US personnel serving in Alaska were the highest of any wartime theater. 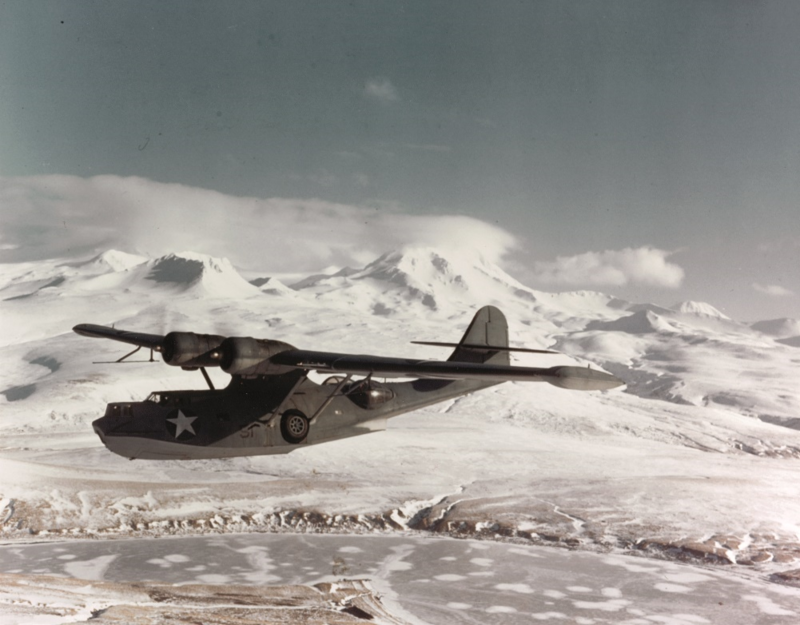 A PBY Catalina overflying a wintry Aleutian island in unusually clear conditions. 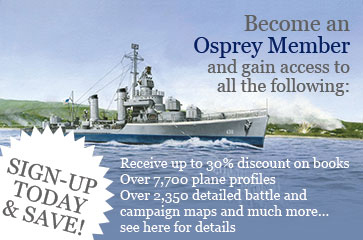 Courtesy of Naval History and Heritage Command. Eareckson was 42 years old when the Aleutians campaign began. He had fought in World War I France as an infantryman. After the war Eareckson received an appointment to West Point, where he became a prominent glee club member. Eareckson actually washed out of pilot training at 24 years old, then became a stand-out Army balloonist before successfully earning his pilot wings at age 30. Despite his cavalier image, the immensely popular Eareckson cared deeply about the men under his command, even singing to them while on bombing missions to keep them calm. An innovative tactical commander, Eareckson was always willing to try something new. On August 17, 1942, he used his radar-equipped B-17s to set up a successful ambush of Japanese H6K Mavis bombers by P-38 fighters – possibly the world’s first air-to-air radar interception. 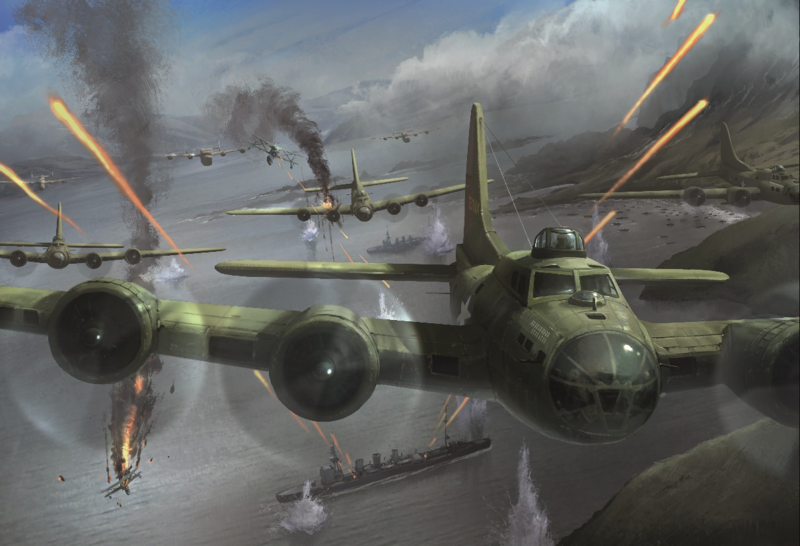 Colonel “Eric” Eareckson leads US bombing raid on Kiska harbor from 700ft on June 14, 1942, from The Aleutians 1942–43. Artwork by Dorothy Hwee. Eareckson was deeply irreverent to “the system.” While filling out a post-mission action report, in the section marked “Date,” Eareckson once wrote, “Thursday, I think.” When appointed command of XI Bomber Command, a position which should have warranted brigadier-general rank, no promotion was forthcoming. “Eareckson can’t even spell discipline,” stated Eleventh Air Force commander Major-General William Butler. Fortunately for Eareckson, Alaska’s overall US Army commander was Major-General Simon Bolivar Buckner, Jr. Like Eareckson, Buckner was eccentric, larger than life, and refused to play by the rules. Both hated desks, despised bureaucracy, and loved the field (Buckner bathed outside every morning by having his orderly melt the ice in his bathtub with a blow torch). Rather than deal with the prim Butler, Buckner simply went over Butler’s head and collaborated directly with Eareckson. The two men’s abrasive, uncontrollable personalities caused their superiors considerable heartburn, but neither was fired because these unorthodox characters produced results in what everyone recognized was a truly difficult environment. Many writers have accused Eareckson of being “reckless” but this accusation fails close inspection. Eareckson never crashed, got shot down, or sent his men on a disastrous mission, despite countless opportunities to do so. One must therefore conclude that Eareckson was not actually “reckless” but merely fearless – he was exceedingly brave, but he took care of his men and did not make stupid mistakes. Eareckson never asked his men to do something he wouldn’t do; he flew bombing missions in every single position, from pilot to tail gunner, and he frequently took it upon himself to fly missions so dangerous he wouldn’t allow anyone else to do them. As air support coordinator during the May 11–30, 1943 Battle of Attu, Eareckson flew either a B-24 Liberator or an OS2U Kingfisher floatplane every day, despite the wretched weather. During much of the 20-day battle Eareckson was often the only USAAF plane overhead; he relentlessly orbited the completely fogged-in Attu literally all day, every day. In Eareckson’s mind, someone had to keep a minute-by-minute watch on the cloud cover – there was always a chance the clouds would briefly part and air support could be provided to the US infantrymen slogging down below. But Eareckson wasn’t about to let any of his own boys fly in such treacherous weather; the job had to be done, but he would keep them safe by doing it himself. Eareckson’s battlefield feats became almost legendary in this largely forgotten theater. On Attu, Eareckson kept a “bullet hole kit” of rubber plugs and cement in his Kingfisher to repair Japanese bullet holes in his floats – nevertheless Eareckson frequently had to beach the Kingfisher to avoid sinking. When a P-38 Lightning got shot down into the frigid waters off Attu, the Lightning pilot reported barely getting wet before he was suddenly lifted out of the water by his armpits – it was Eareckson, who, in his Kingfisher, had immediately followed the Lightning pilot down into the Bering Sea to rescue him. One afternoon, when the weather completely grounded him, an apparently bored Eareckson grabbed a rifle and hiked to the front lines, as if a tourist on vacation. Almost as soon as he arrived, Eareckson was grazed in the back by a Japanese sniper. Enraged, Eareckson emptied his rifle clip in the direction the bullet had come from, and multiple eyewitnesses reported Eareckson shooting the sniper dead. Eareckson then walked back to headquarters, where Buckner pinned a Purple Heart on him, before jokingly turning Eareckson around and kicking him in the backside in mock punishment, “for being where you had no business being.” Two years later Lieutenant-General Buckner would himself be killed at Okinawa while touring the front lines – the United States’ highest-ranking combat casualty of the Pacific War. Colonel “Eric” Eareckson was one of the finest battlefield commanders of the war. But Eareckson’s exploits were doomed to be largely forgotten in a theater postwar America preferred not to remember, and his sarcasm, defiance, and incorrigibility ensured he would never be promoted to general. Eareckson retired from the US Air Force in 1954, after 13 years as a heavily-decorated colonel. I was going to get this but now it's gone right to the top of my list. Thanks for a great article. I didn't think I was going to bother with this book, but this article has convinced me to get it, thank you Mr Herder.